Sugar Cookies are that one cookie that every kid seems to want to make and decorate. 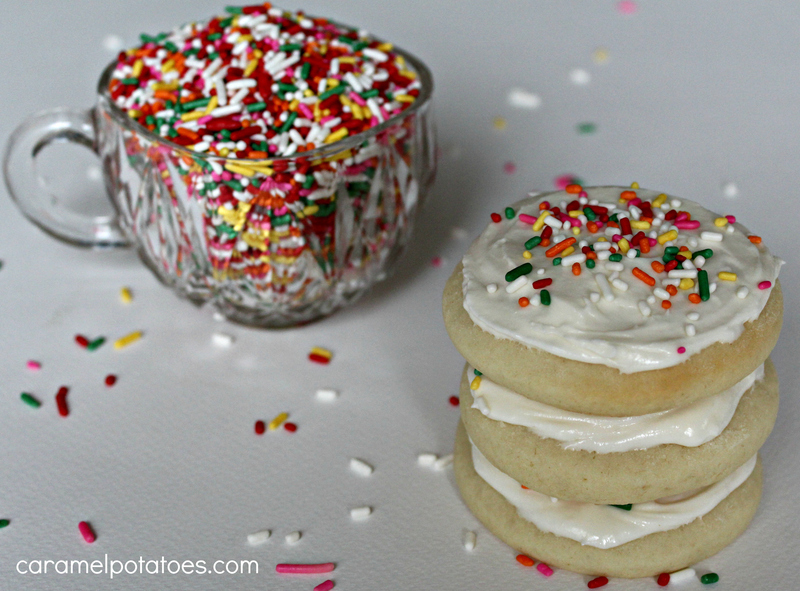 What kid doesn’t love to cut out different shapes and decorate with frosting and sprinkles. Each has their own technique. There is always one that takes their time and is very meticulous to their design, there is always another that loads on as much frosting and as many sprinkles as possible, and of course there is a whole host of those somewhere in between. I think of my three kids; I have one of each: the decorator, the sugar loader and one somewhere in between. To each their own! 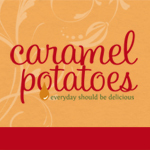 Of course if you are going to take the time to roll out sugar cookie dough, you want to start with a cookie that is going to taste delicious. 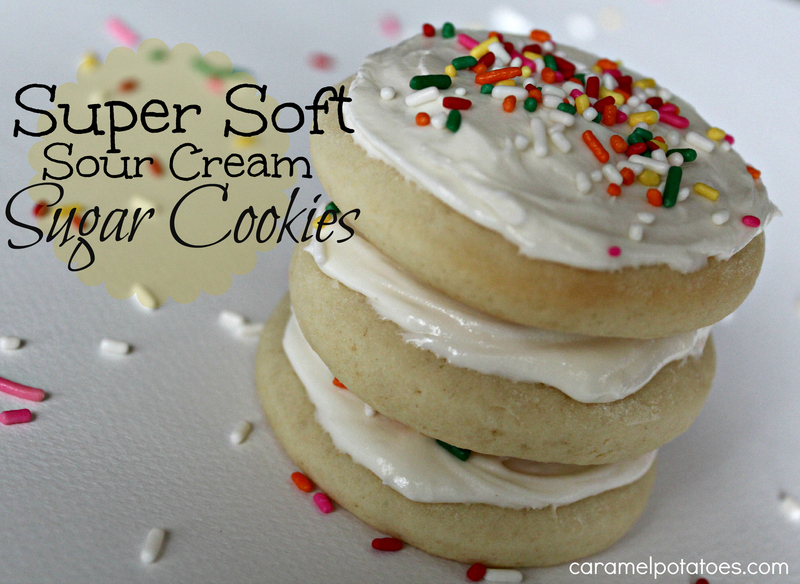 I love a super soft fluffy sugar cookie. 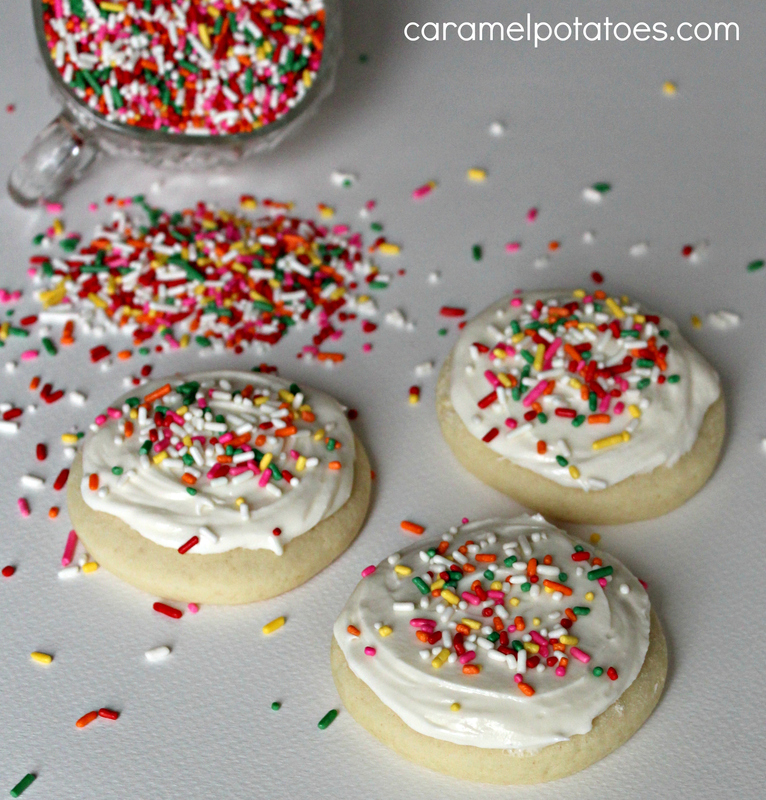 This is the perfect sugar cookie recipe. It is easy to work with and promises to give a super soft cookie (just don’t overbake). Equally as important as the cookie itself is an equally delicious frosting. Don’t forget the sprinkles! In the bowl of a stand mixer with the paddle attachment, cream the butter and granulated sugar at medium speed until light and fluffy, about 3 minutes. Scrape down the sides of the bowl with a rubber spatula as needed. Add the eggs, one at a time beating until each is fully incorporated. Add the vanilla and sour cream and mix at low speed until combined. Slowly add the dry ingredients about a cup at a time and beat at low speed until just combined, about 30 seconds, scraping down the bowl as needed. Divide dough into two sections. Flatten into rectangles about 1 1/2 inches thick, then wrap with plastic wrap. Chill in the refrigerator overnight. Preheat the oven to 425 degrees F. Line 2 large baking sheets with parchment paper or spray them with nonstick cooking spray, set aside. Generously flour a work area and rolling pin. With a rolling pin, roll the dough out to 1/4-inch thickness. Using a 2 1/2-inch round cookie cutter, cut out circles and transfer to a baking sheet. Bake for 6-8 minutes, until pale golden. Be sure to watch your cookies as oven temperatures may vary therefore baking time will vary and you do not want to overcook these. Immediately transfer cookies to a wire rack to cool.